(SPOT.ph) We know you’re always on the lookout for good reasons to spend your hard-earned cash. We’re pretty sure you want to get the most bang for your buck, too, so you won’t have to deal with the guilt after going on a shopping spree. Mark your calendars, ready your wallets, and bring your Robinsons Rewards Card because August 8, Tuesday, is Robinsons Rewards' VIP Day! This one-day only event lets Robinsons Rewards members enjoy a full day of shopping (and saving) because they can avail exclusive discounts and perks from participating Robinsons stores and partners. Whatever you’re into, there’s a participating store that can solve your shopping needs—from new clothes, gadgets to fuel. Looking to upgrade your wardrobe? Get new fashion finds at the Robinsons Department Store, where you can avail 10% off on almost all items; or at Topshop, Topman, Miss Selfridge, Dorothy Perkins, and Burton to enjoy 30% off when you buy three or more items. You may also want to drop by at Warehouse for 20% discount on regular-priced items; or at G2000 for 20% off on all items. If you’re down to upgrade your gadgets and home appliances, you’ll enjoy shopping at Robinsons Appliances as you can get up to 15% off on selected items. Planning to do some home improvements? Handyman and True Value have you covered—where you can get up to 20% discount on selected items. You can also get 5% off on almost all items at Robinsons Builders. Kids and kids-at-heart shouldn’t let this event pass as well because they can get 10% discount on almost all items at Toys "R" Us. If you're looking for Japanese novelty items that wouldn't hurt your budget, head on to Daiso Japan and earn 10x points on your purchase. Heads up to everyone crazy makeup and skin care: you can get up to 20% discount on selected items at Shiseido and Benefit. While you're at it, don’t forget to buy grocery items. Shop at Robinsons Supermarket and earn five times more Robinsons Rewards points for your purchases. And after doing some serious shopping, head over to Costa Coffee and get 50% off on your second drink. On your way home, make a pit stop at Caltex and gas up because you can earn five times more points. If you're not a Robinsons Rewards member yet, sign up as a member on the same day and for a discounted price of P100 (regular price is P150) at any Robinsons store. 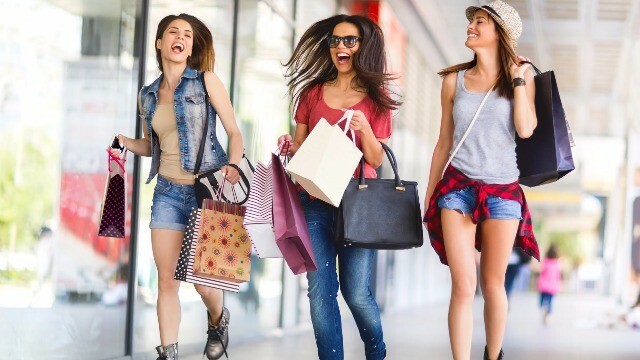 You can use the points you earn to do even more shopping on your next visit. 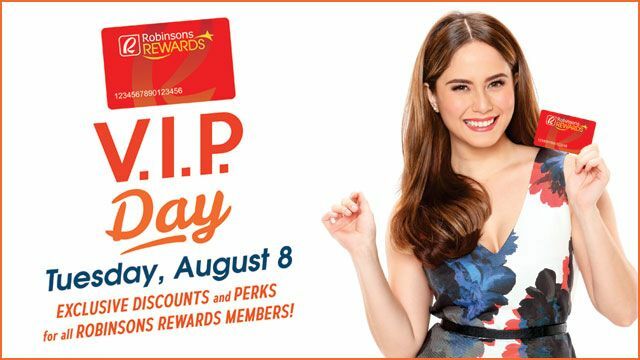 To know more about the Robinsons Rewards VIP Day, visit their website today.